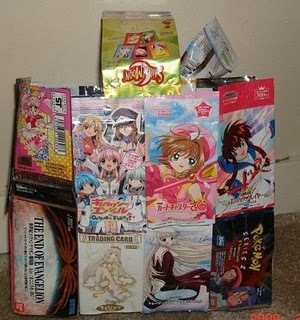 Let's not be wasteful, for those children who loved to collect trading cards as a child, what do you do with the wrappers? Do you throw them away? Do you keep them cause they have cool pictures too? 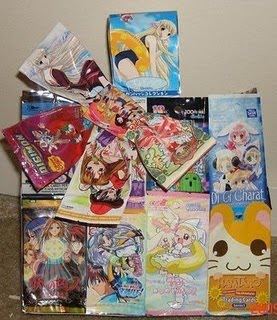 Or do you tape them all together with packaging tape to make a bag! with a BOW.